An idea can be best represented using a light bulb symbol. Especially, the good old energy hogging incandescent light bulb! 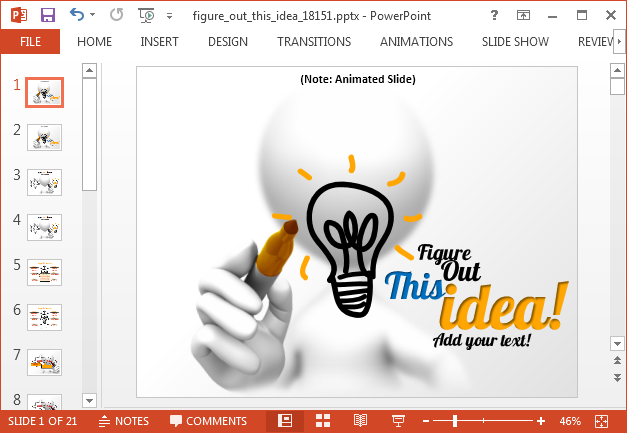 We previously brought you the Animated Idea Light Bulb PowerPoint Template which perfectly uses the idea theme to deliver a presentation template suitable for revealing your ideas. 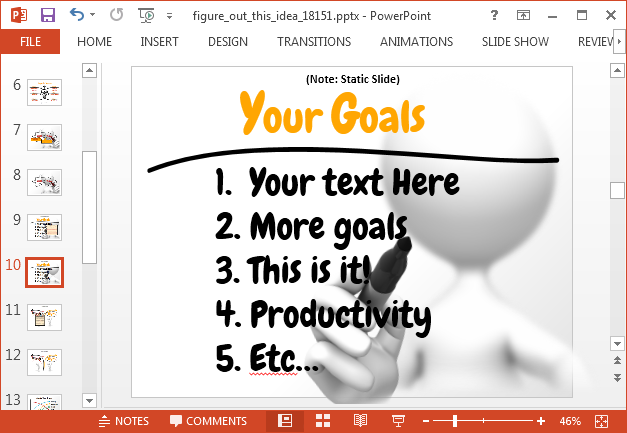 Figure Out This Idea is a similar template with stick figure and light bulb illustrations for making slides to reveal your ideas, to brainstorm new ideas, for presenting a project roadmap or proposal or to come up with suggestions for a business venture. 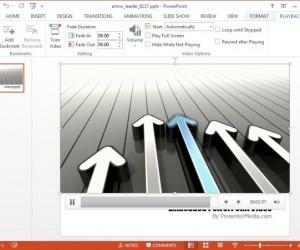 You can use this animated business idea PowerPoint template for multiple purposes and the slides are customizable enough to merge with any topic. 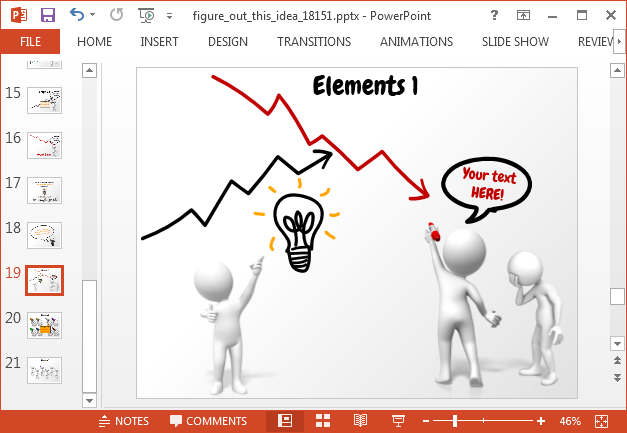 The slide depict stick figures drawing doodles, as well as sample diagram like slides which can be labeled for presenting your ideas. The light bulb is of course a central theme. Moreover, you can single out objects by selecting them individually. These objects can be removed, copied and replaced. Hence, you get a lot of scope for customizing sample layouts. 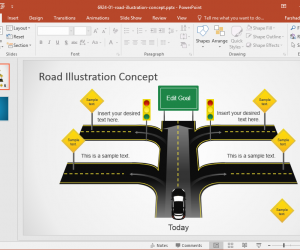 Even if you are presenting a project proposal or roadmap, one method by which might be able to present convoluted information cohesively is to use a diagram or infographic. 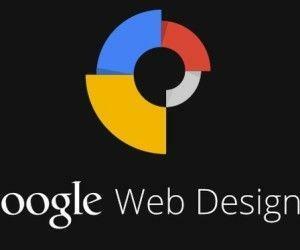 Making one on your own can take hours and it’s unlikely that you will be able to create layouts that look very professional unless you are a graphic designer. 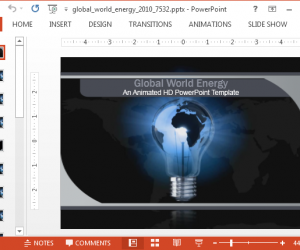 An easy alternative is to use readymade templates like this one. 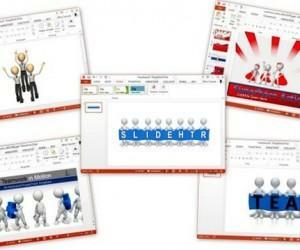 There are a number of slides which you can use for making either diagrams or infographics. 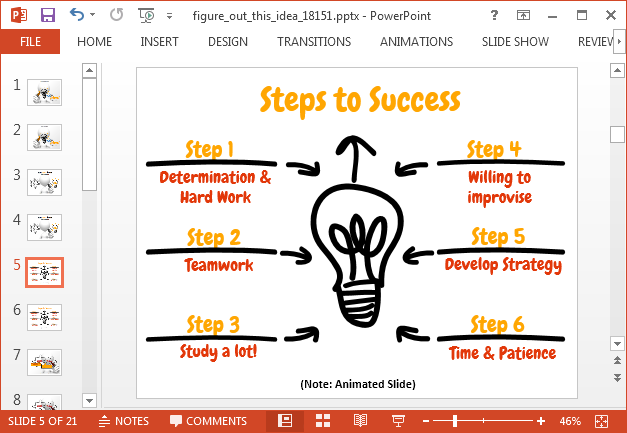 Similarly, you can also use such sample slides to reveal your bullet points or a process in the form of an easy to comprehend illustration. 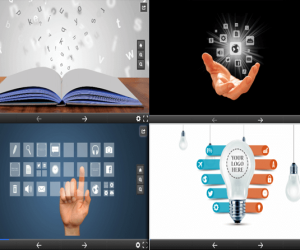 The three final slides provide clipart images. 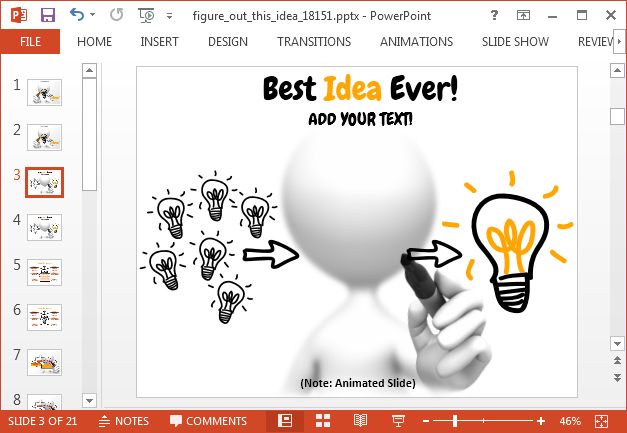 These include light bulb, stick figure, arrow and speech bubbles that can help you customize and create idea themed slides.